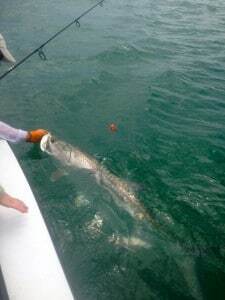 The annual tarpon migration is in full swing down here in Key west. Everyone goes tarpon crazy “both clients and captains”, These fish are truly world class. You can fish them in so many different ways, Fly fish, lure fish, live bait and dead bait. 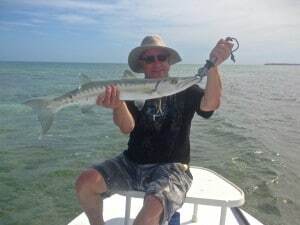 The one thing that is common among all these different methods is that when you hook up you will be battling a fish that will test your strength as well as every part of your equipment. 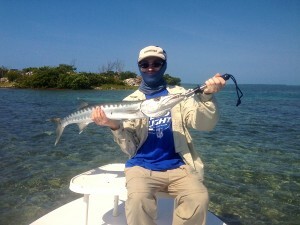 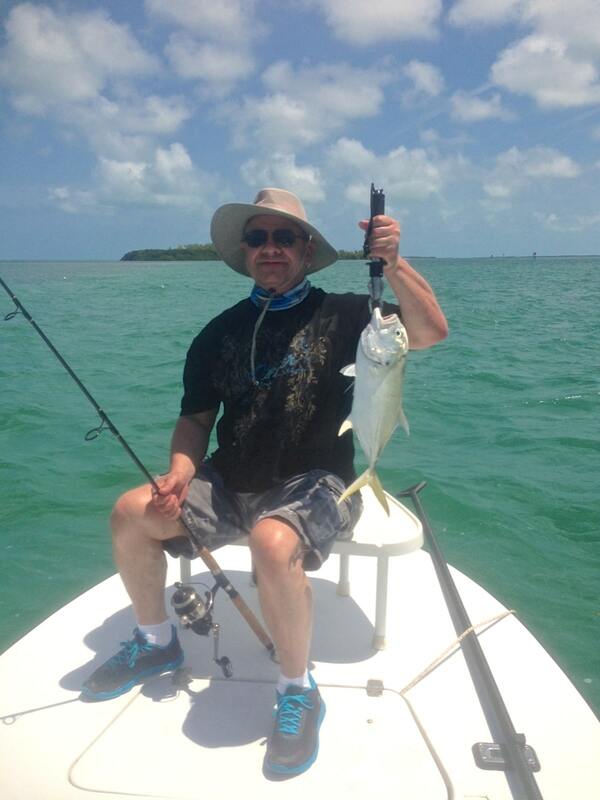 This week I have caught or jumped tarpon on everything but dead bait. 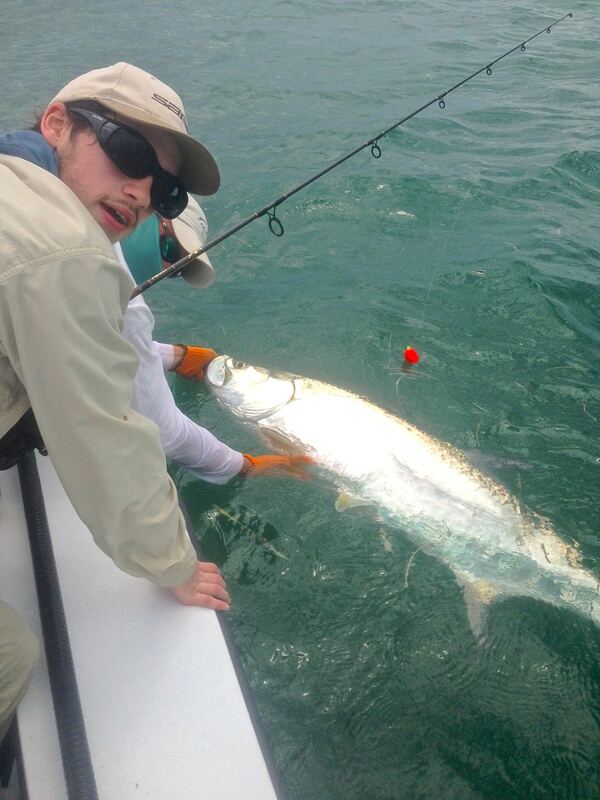 Kurt Logan jumped his first fish on fly but the hook broke and the tarpon got away. His 10 year old son Luke jumped one on a pinfish that we lost boat side. 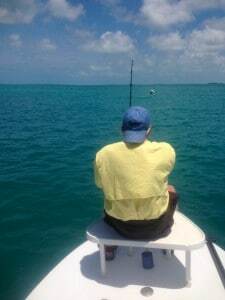 Key west on an incoming tide. 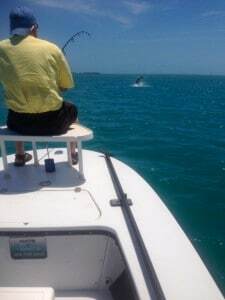 We all fought this 80 pounder before he broke off boat side, Randy asked for a much smaller tarpon but we did not hook up. 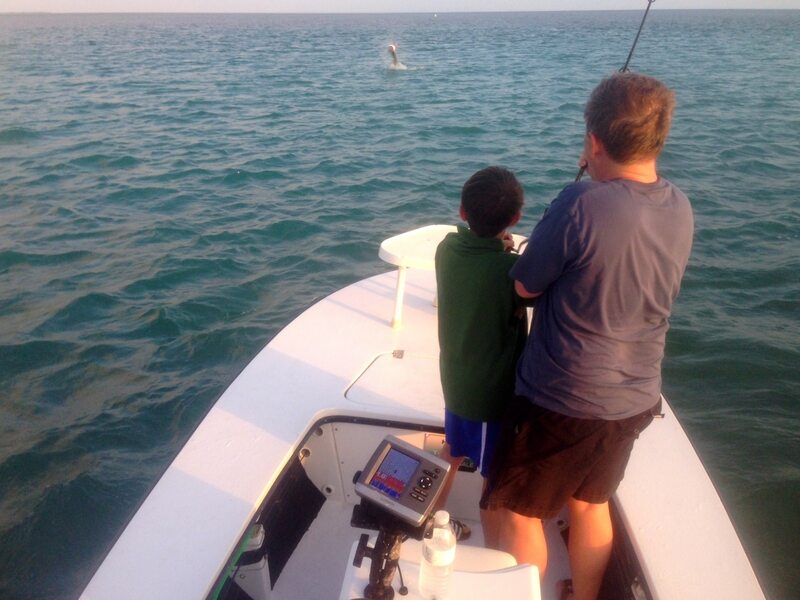 Ted and Theo Worthington hooked and landed a very nice 60 pounder. 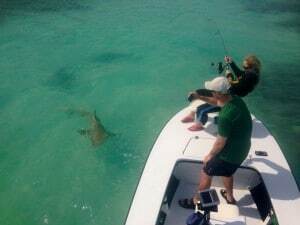 After looking at my pictures I realize that shark fishing has been very good. I had a wonderful day of fishing with Tim and Ashley Dugan. 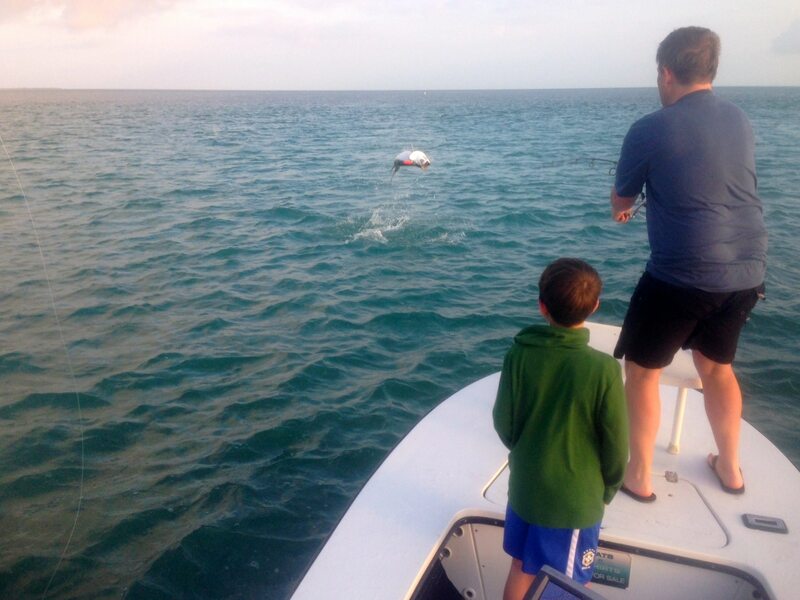 We caught the top of the tide 4 miles west of Key west. 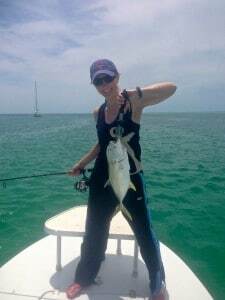 This spot is a large white sand spot right next to and island and we landed 4 large lemon sharks before we went fishing for barracudas. 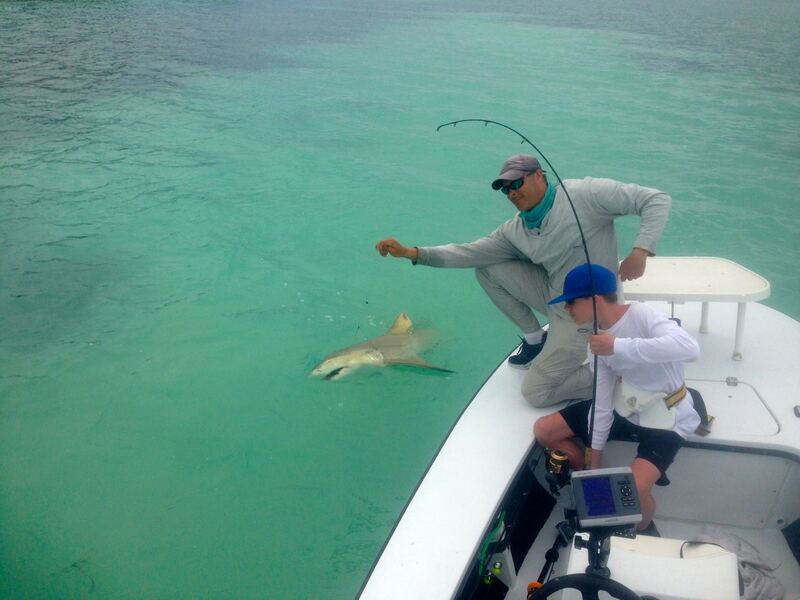 10 Year old Luke Logan also had a good day land 1 lemon and 1 black tip shark. 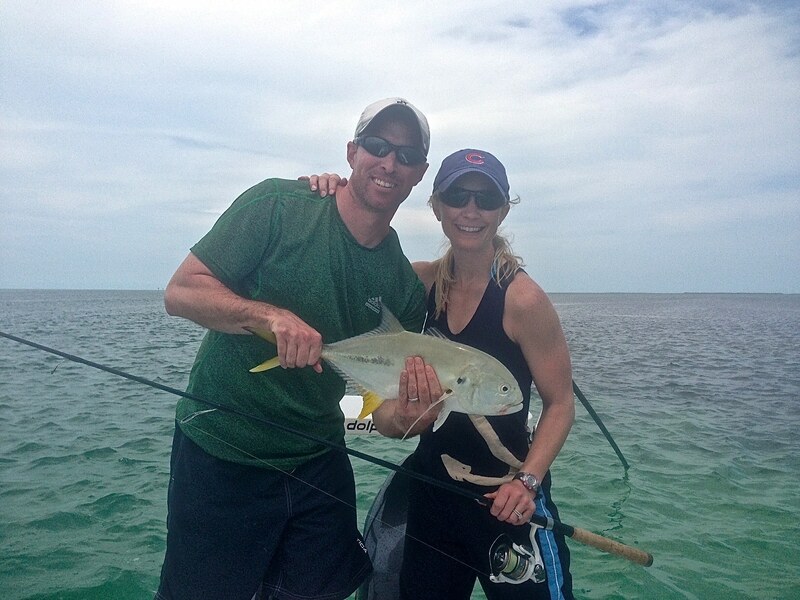 The jack fishing remains strong with Tim and Ashley landing several fish while jig fishing off of Boca grande. Luke Logan caught a very nice bar jack while fishing tarpon off of Key west. I have not been doing much bone fishing or permit fishing but I have found fish the few times I have tried. Posted by Capt. 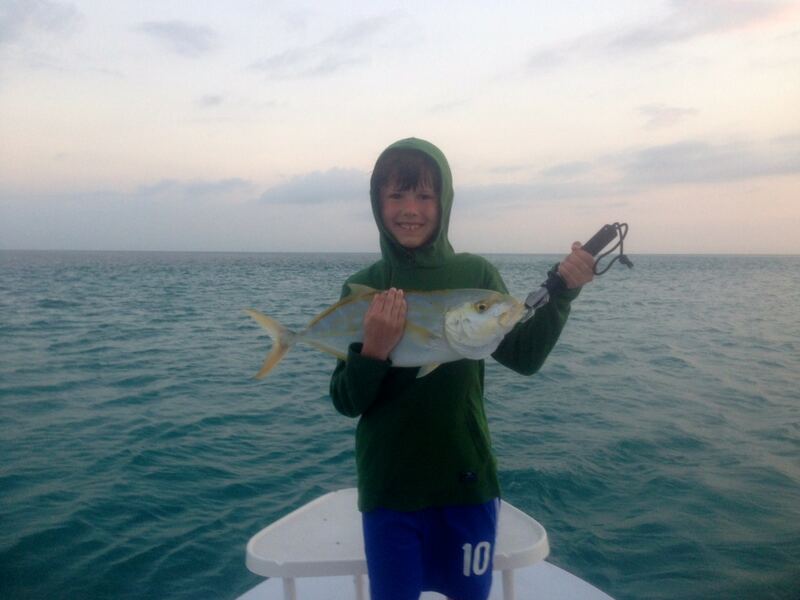 Anthony Skinner, on April 17th, 2014 at 8:56 pm.